Home and family are where your heart are hence security and comfort are essential. Unfortunately, the chance of your residence being broken into by intruders is high. 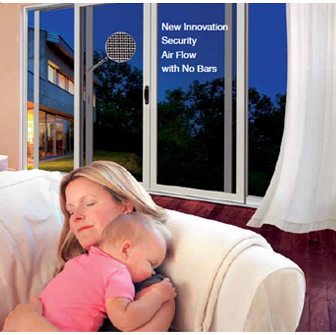 MAJESTEC™ Doors and Windows can help provide you and your loved ones with the protection and peace of mind you need. MAJESTEC™ products, whilst similar in appearance to ordinary fly and insect screens, are manufactured from a high-tensile stainless steel mesh which is woven and framed with a specially designed and powder-coated aluminum. 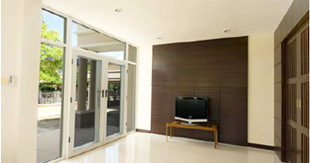 Our mesh screens provide a clear view and good air circulation. MAJESTEC™ Security Doors and Windows are designed in-house utilizing our Internationally Patented systems and manufactured from heavy duty aluminum (6063-T5 grade). The strength of MAJESTEC™ frame designs, our fixing systems and high material specifications means that our products therefore meet or exceed the various performance requirements of Dynamic Impact Testing; and Jemmy Testing in accordance with Australian Standards – Security Screen Doors and Windows Grilles (AS 5041-2003). MAJESTEC™ protective finishing helps increase product lifespan and provides superior appearance of MAJESTEC™ products. MAJESTEC™ security mesh screens and frames are powder coated in-house, using the latest advanced technology and in accordance with Metal Finishing Standards AS 3715-2002. The coating process exceeds Salt Spray Test ASTM B117 proving the durability of MAJESTEC™ products against corrosion – to give you confidence in product lifespan without compromising on the appearance.